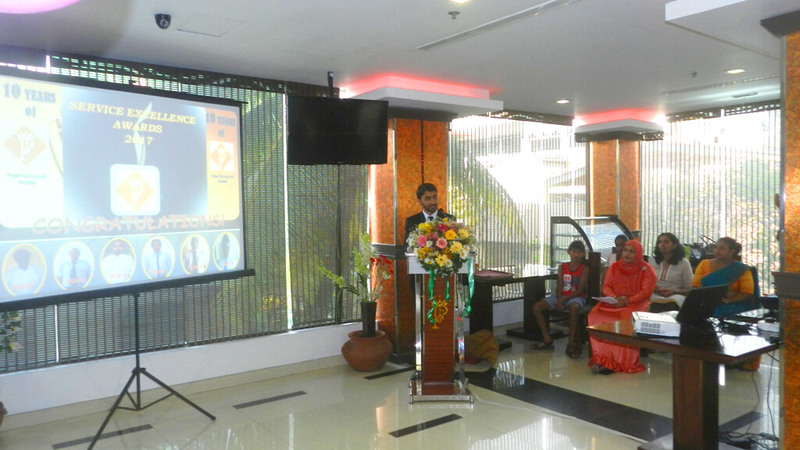 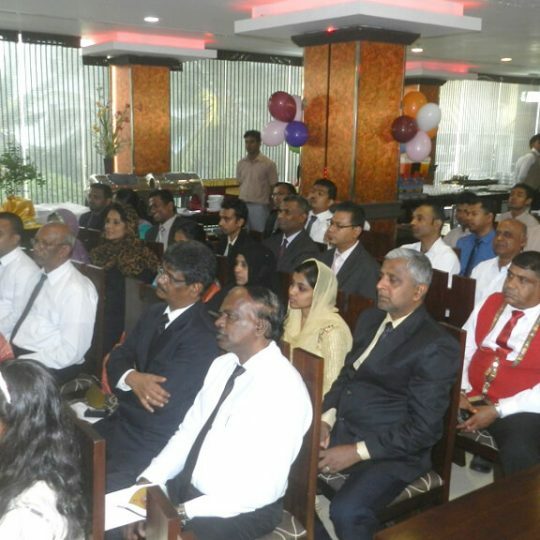 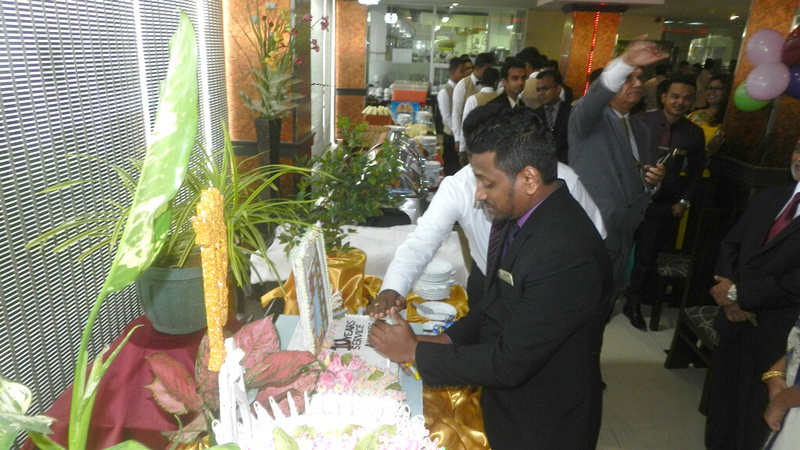 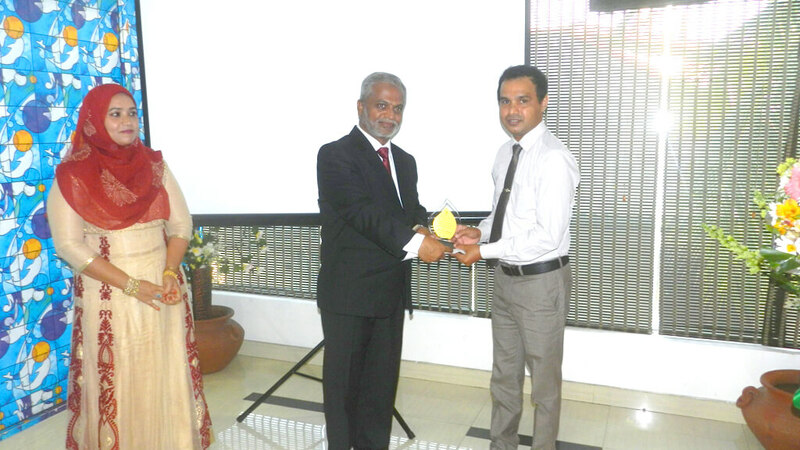 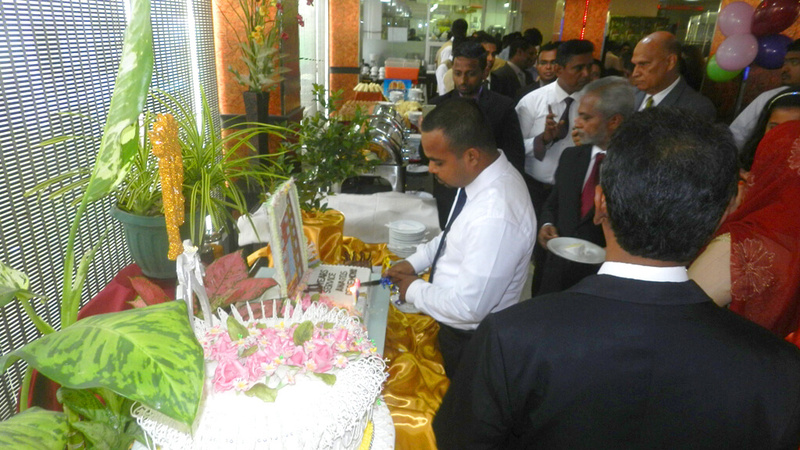 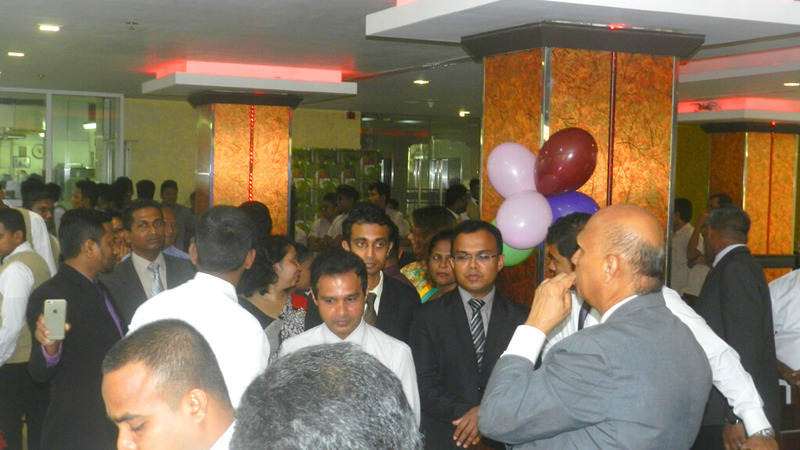 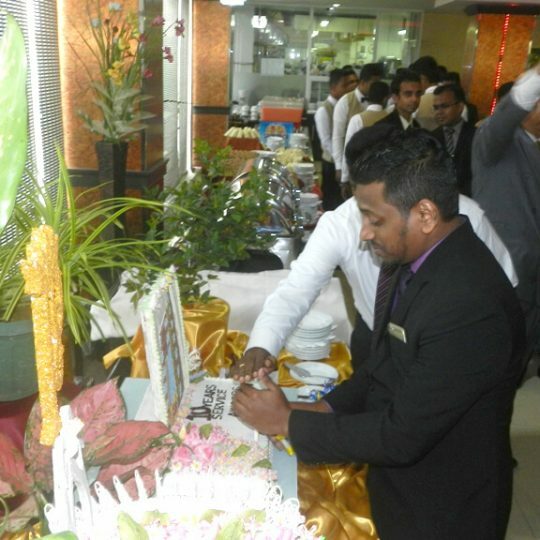 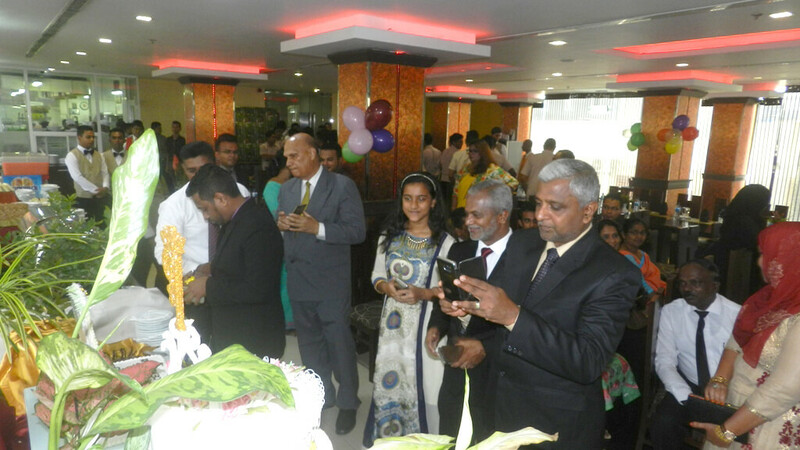 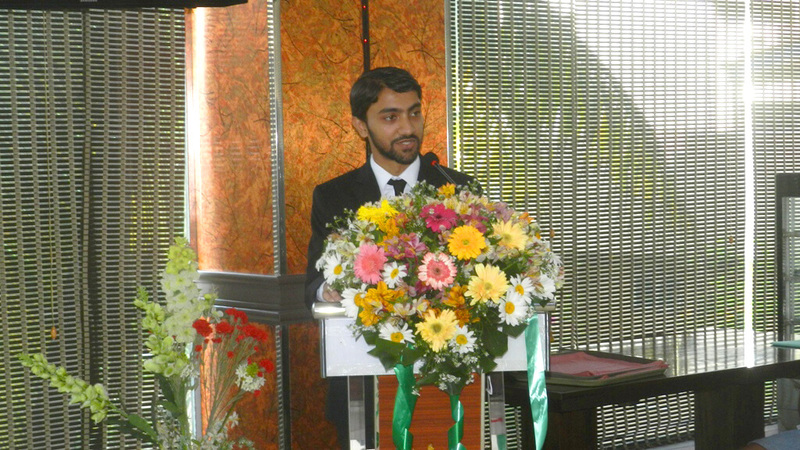 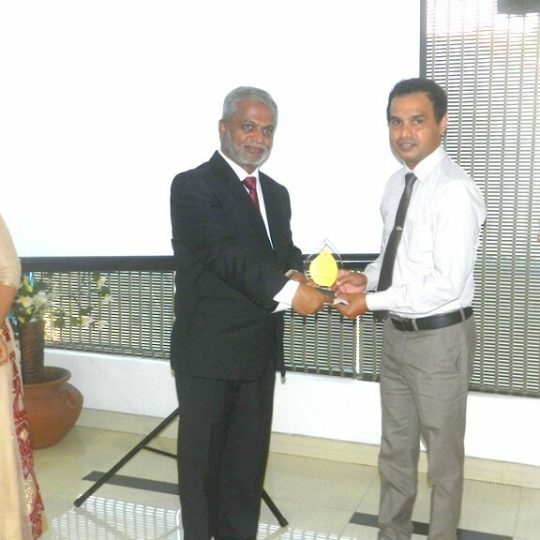 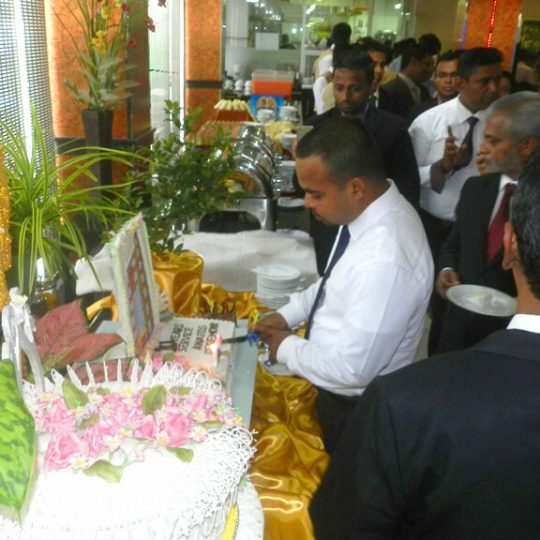 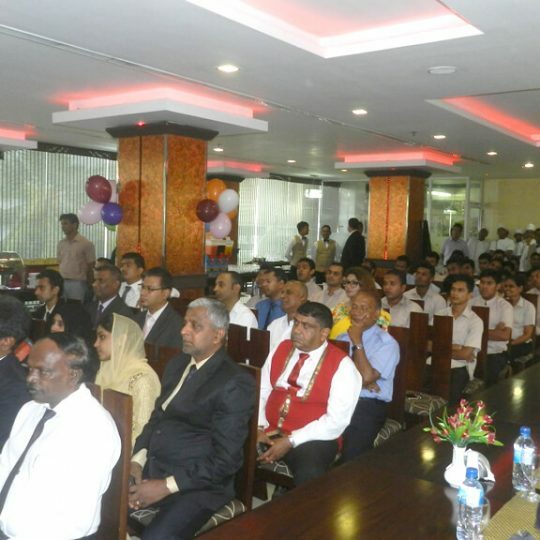 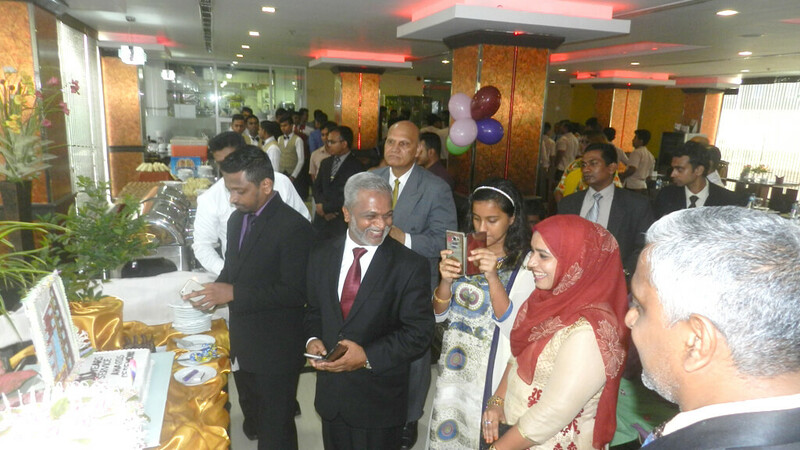 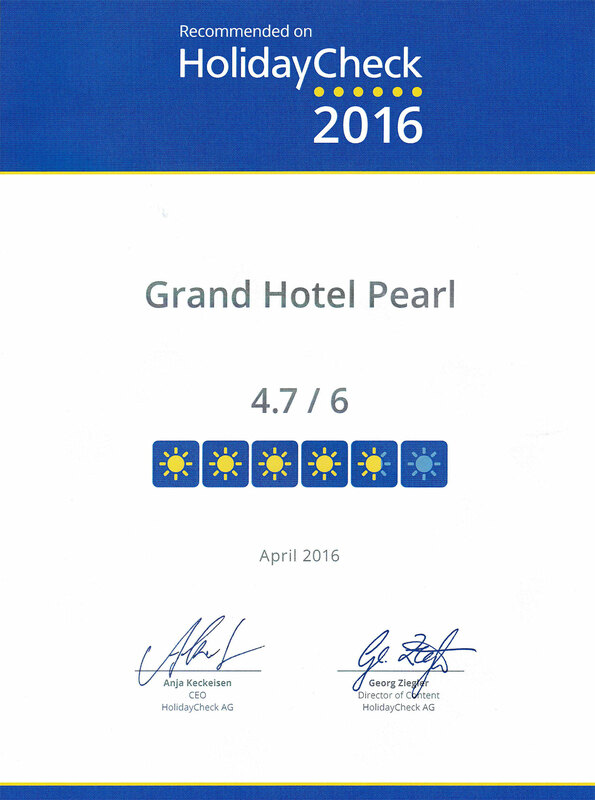 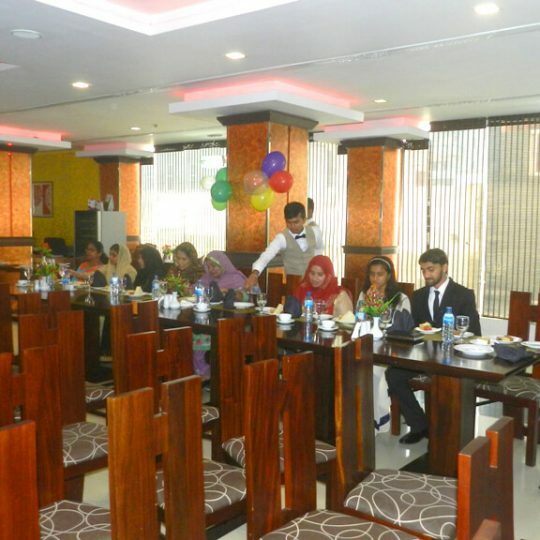 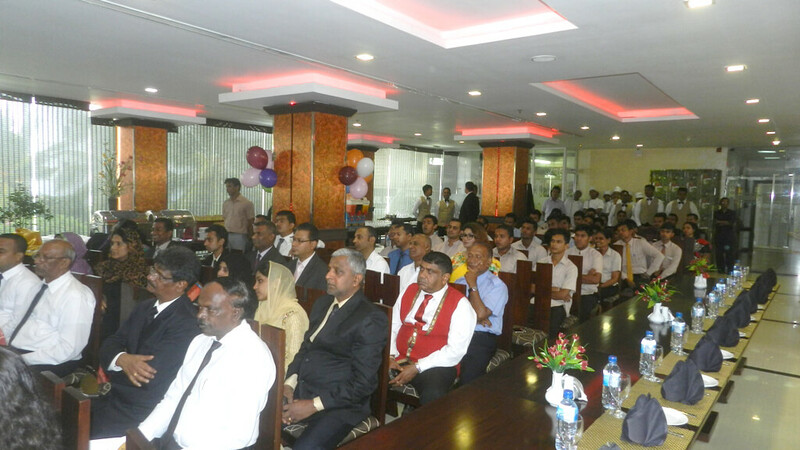 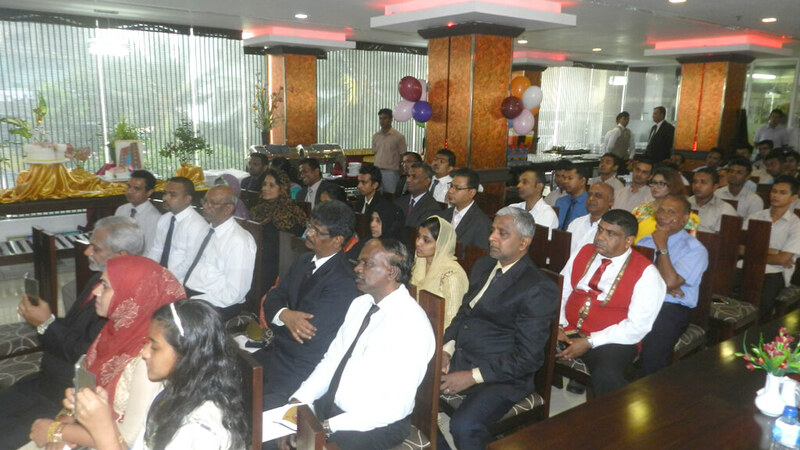 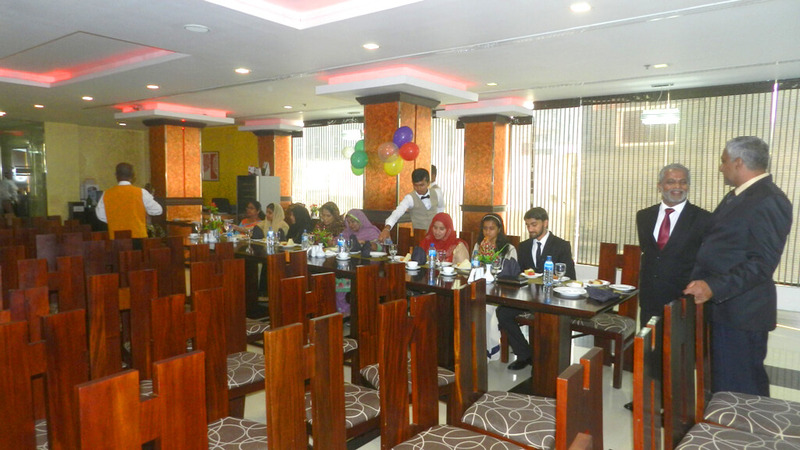 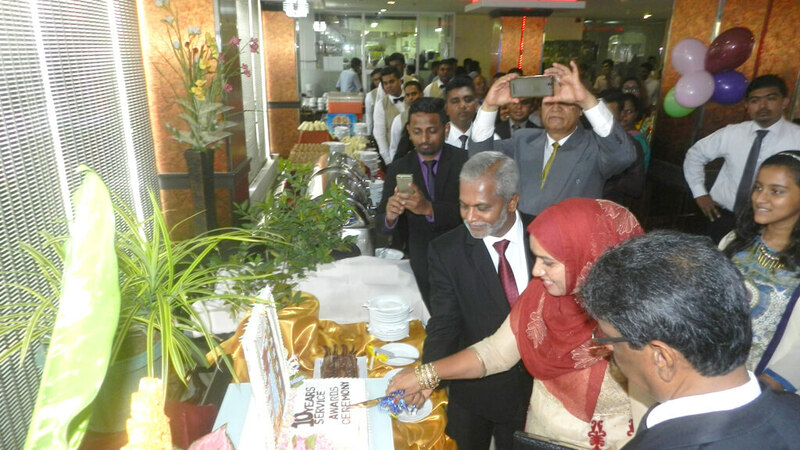 A glittering occasion to recognize and reward employees of Pearl Group of Hotels . 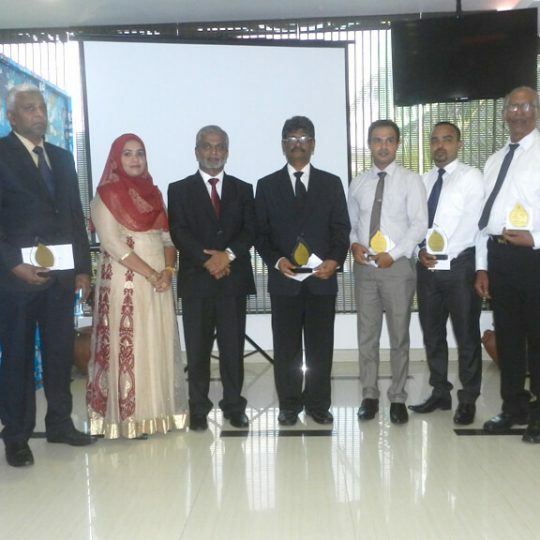 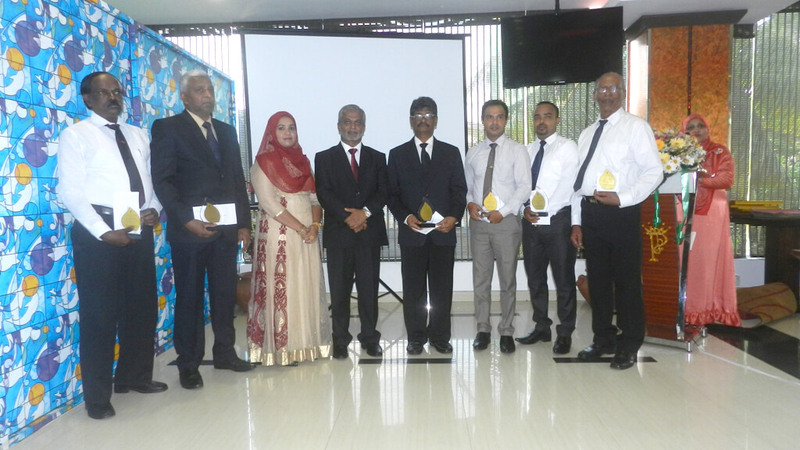 ceremony in a grand scale at the Pearl Grand hotel, there were 6 employees who were awarded for their 10 years of long-standing, loyal, dedicated and committed service. 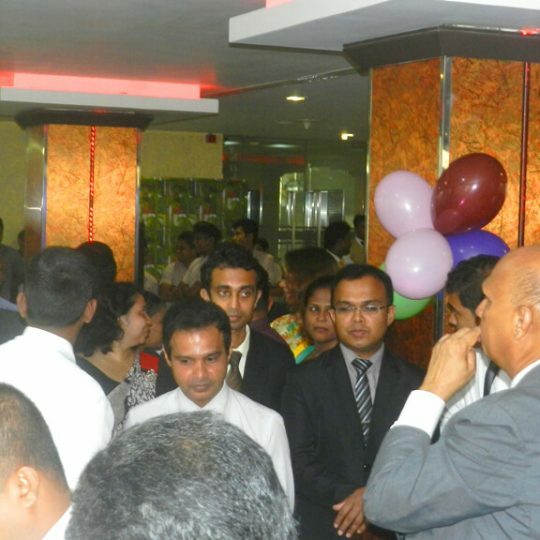 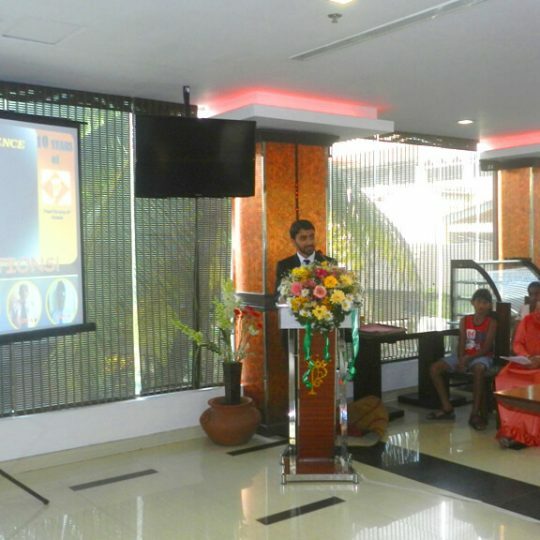 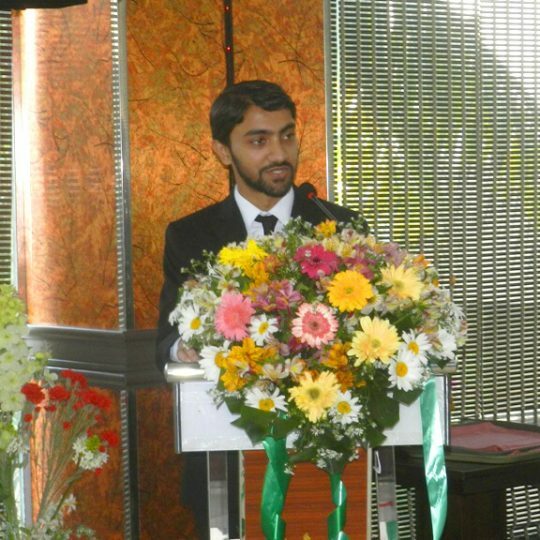 In the picture along with the employees are Mr.A. 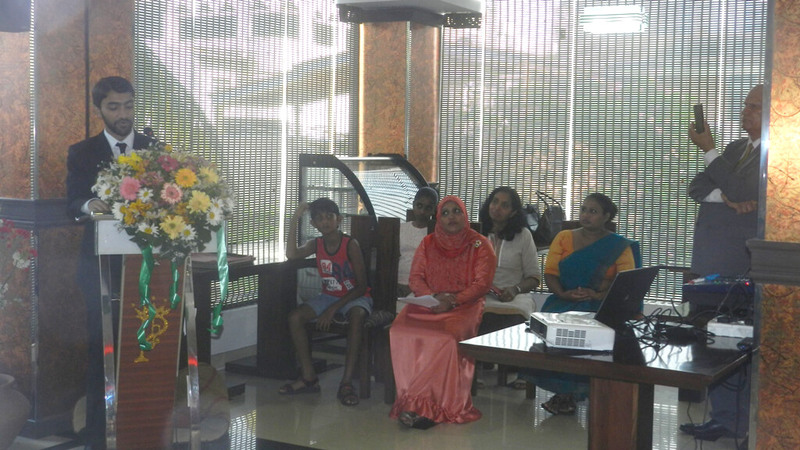 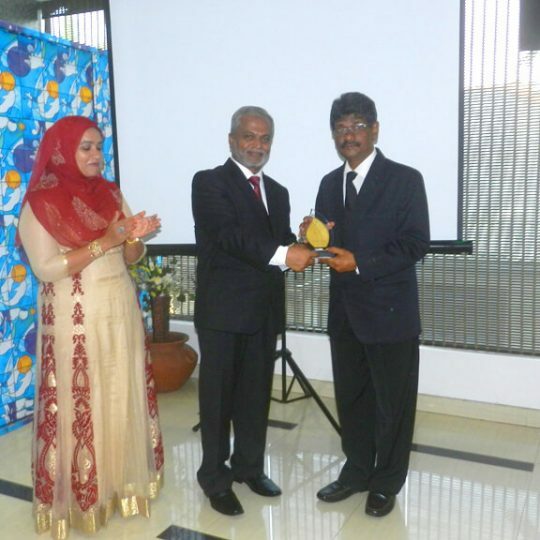 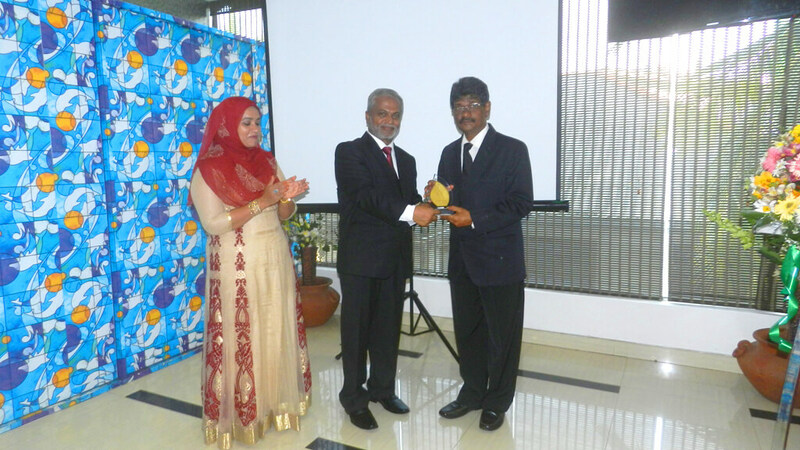 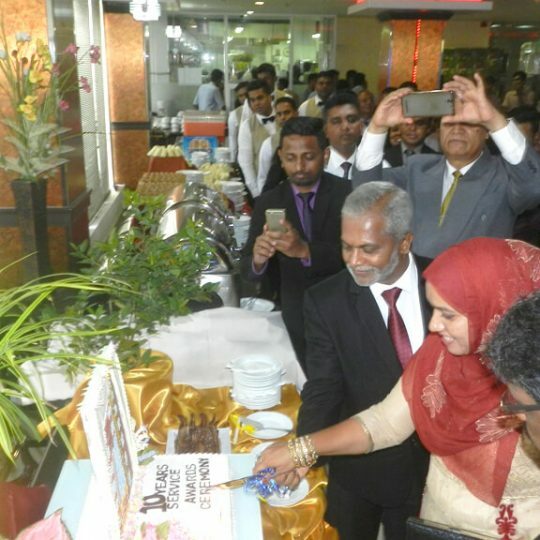 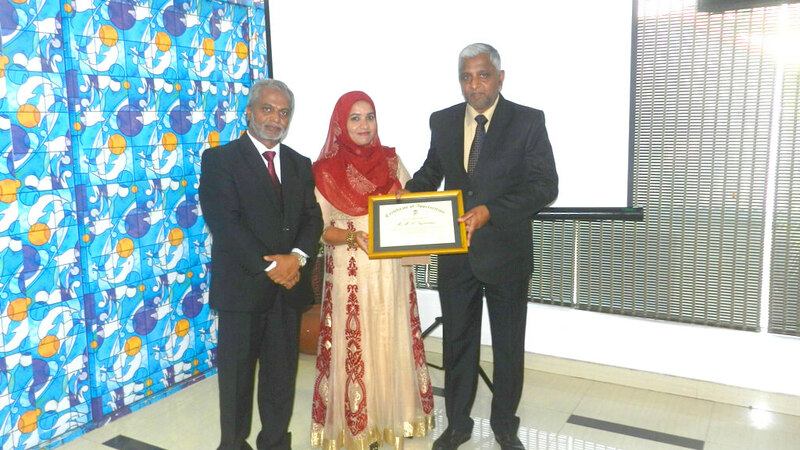 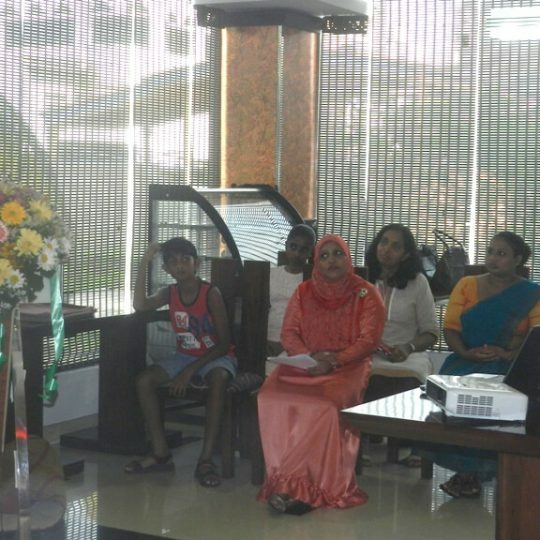 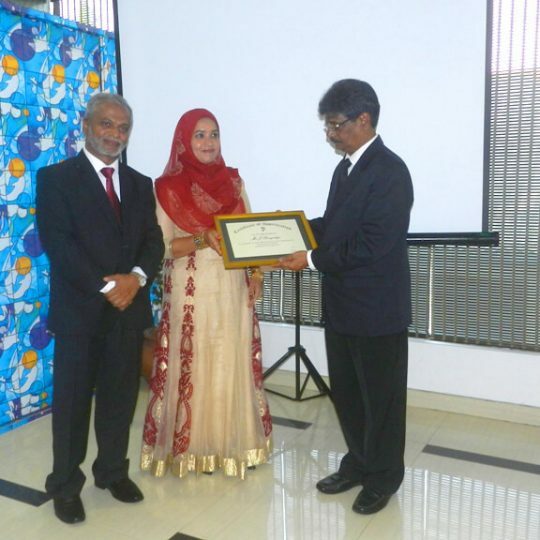 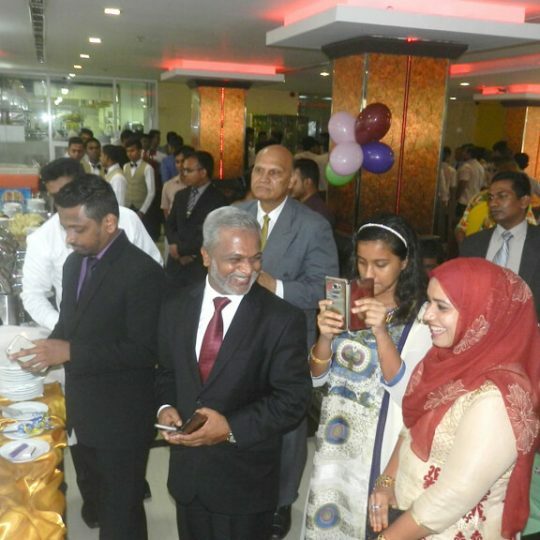 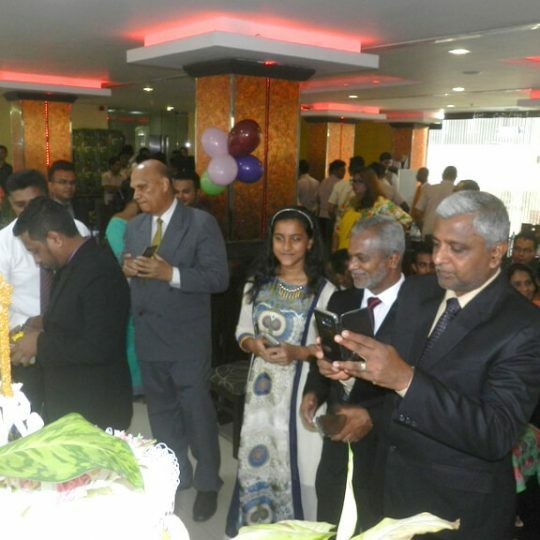 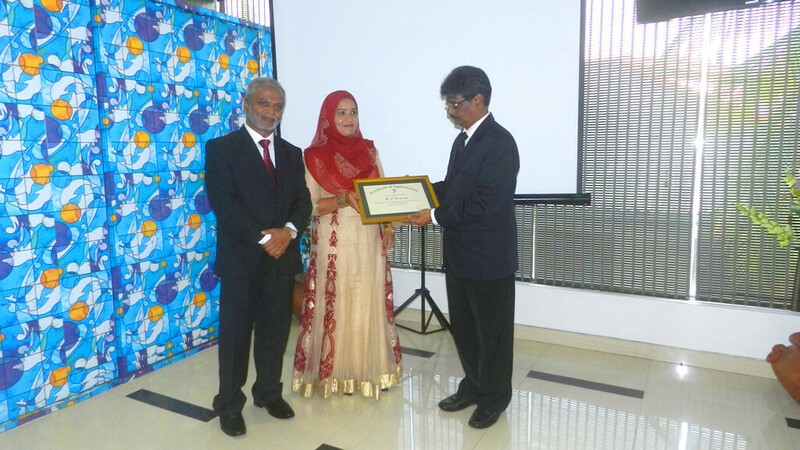 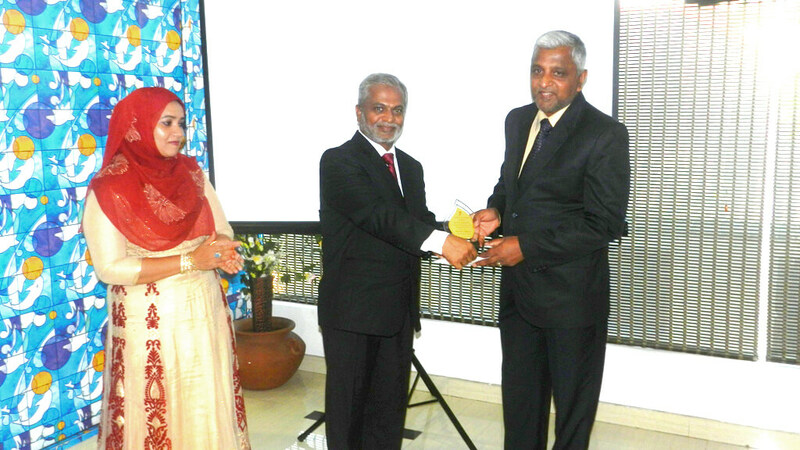 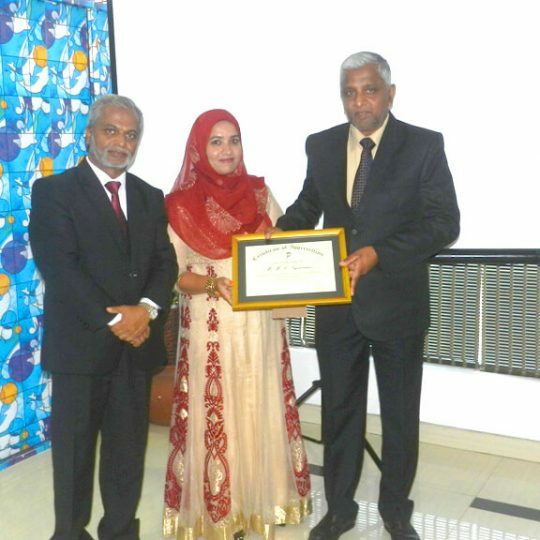 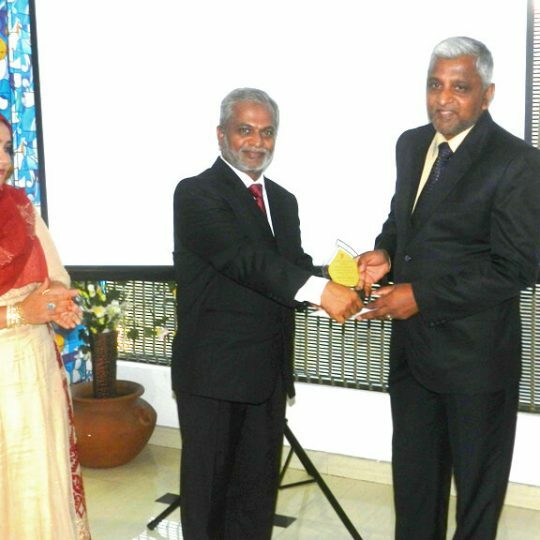 L.M.Faris-Chairman and Managing Director and Mrs Noorjahan Faris.